Last night, our lovely Lady Conrad was out on the town sporting a faux-bob, double liner and a fuchsia lip! Follow these steps to get the look! Follow steps 1-8 of the “Vintage Vixen” tutorial. 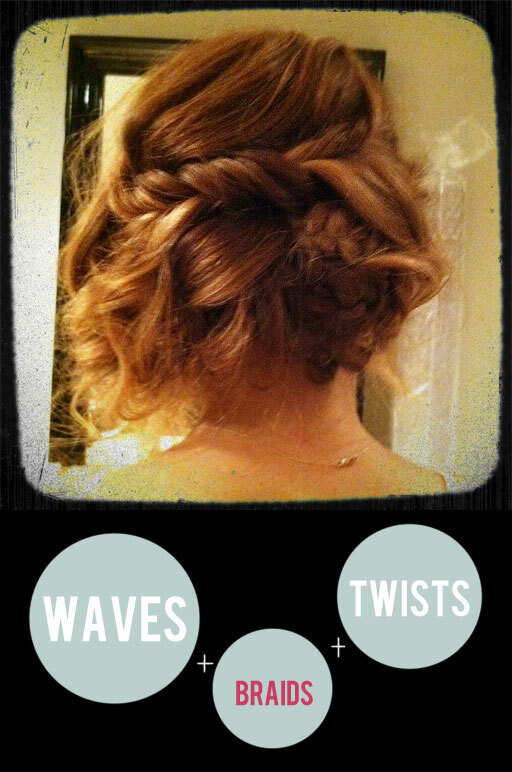 The key to a good faux bob is the braiding and pinning in the back! After brushing everything out, only back comb and tuck the longest pieces. Allow some pieces to fall loosely toward your face on the heavier side. Twist and pin pieces on the other side and secure them into the back. Make sure you blend them in the same way we did in “Twisted Sister”. Finish off with a veil of medium hold hairspray. 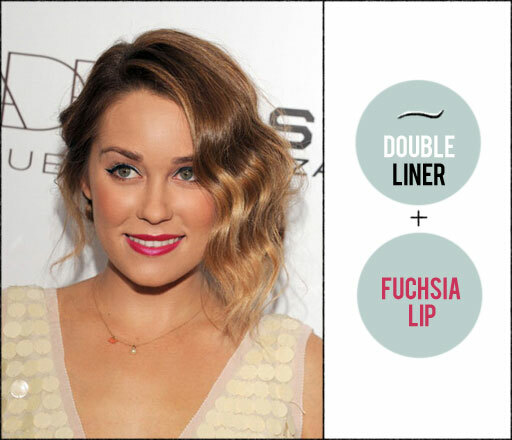 This is the perfect example of two quick ways to transform your signature makeup to a party girl look. Add a white line just above your black winged liquid liner to draw more attention to it and make it a little more stylized. I used a matte white kohl liner but you can certainly use a liquid or cream version as well. **Tip: draw the thick white line first then go back and draw the thinner black line over it. Add a bright pop of color to the lip. We chose a magenta/fuchsia cream lipstick but you can pick any shade as long as it is bright and good for your undertones.